Dr. Patty Khuly, VMD, MBA wrote a fantastic blog on "16 simple stress hacks for vets." After all, we have a high stress, emotionally draining job. So, here, some great hints from this media-marketing-veterinary guru. 1. Stretch. Here, a great TED talk. 2. Get in earlier or leave later so you can schedule a longer mid-day break. 3. Take a quick break outside the office. 5. Push-ups, jumping jacks and other simple calisthenics. Here, a 7-minute workout. 6. Practice the five-finger gratitude hack. 7. Apologize early and often. 9. Get a new hobby - immediately! My fav? Ultimate frisbee. Ice hockey. Traveling while tax deducting it towards veterinary learning. 10. Commit yourself to a travel date and destination. Come to Fiji with me. 11. Eat something you never do - right now! 12. Modify your work style. 13. Put on your earphones. 15. Spruce up your indoor scenery. 16. Get back to your roots. VETgirl, a subscription-based podcast & webinar service offering online veterinary continuing education, cares about your mental health! 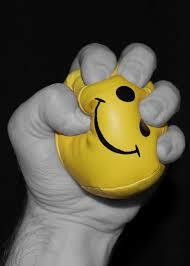 What hints do you have for stress-relief?